Photoshop Elements 14 on sale at Amazon. Photoshop Elements 14 was just released and it’s now on sale at Amazon where you can download your copy for just $99.99. With the download version, not only are you good for the environment by skipping the box but you’re able to begin installing it immediately after checkout. Plus, if you ever need to reinstall Elements again for whatever reason (for example, on a new computer), the fill will always be available to you in your digital library. But if you need the disk, it’s available too and will ship out to you for free. Current Elements users save on the upgrade. If you currently own an older version of Photoshop Elements (and still have access to your license key) then you can save $20.00 by taking advantage of the upgrade discount at Adobe.com. There’s no restriction on the version that you currently own so even if your copy of Elements is 10 years old, you’ll still be able to save with the upgrade to PSE 14. We just recommend that you first see if there are any good deals on the the full version from one of Amobe’s resellers (i.e. at Amazon, Best Buy, etc.) as you often can save more on the full version on sale than at the upgrade price. This is an ongoing offer for qualifying customers. If you’re currently attending just about any school or university in the United States, Europe, and Australia, or if you’re a qualifying teacher or educator, then you can get a special discount on the Adobe Photoshop Elements & Premiere Elements 14 bundle. Students can pick it up for just $79.99! That’s cheaper than buying just PSE or PRE alone and about 40% less than the regularly priced bundle. Best of all, the student version is exactly the same as the regular one so your not getting any less features. Must be a student or teacher to qualify for this discount. If you want to pick up a copy of PSE 13 at your local Staples or Best Buy store, then be sure you do a price match before you order. Both stores will price match to the sale price at Amazon (when it’s sold through them and not a third party reseller). Because Amazon currently has the lowest sale price, just show them the details at your local store and they will price match it as long as they have the exact same software in stock. 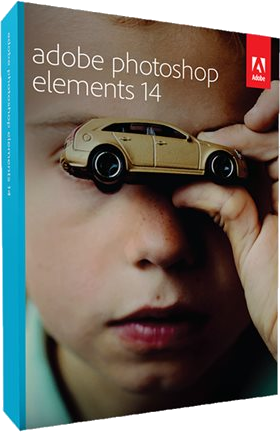 The Adobe Photoshop & Premiere Elements 14 bundle is priced at a $50.00 discount vs. buying the two programs separately ($149.99 vs. $199.98 if purchased separately). You will also receive free shipping with your order. Additional discounts come from time to time so be sure to see site for details. This is an ongoing bundle offer. Available all who haven’t tried it! 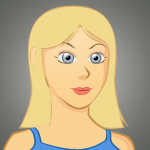 If you’ve never tried Photoshop Elements 14 and want to test out the program before you buy the full version or upgrade from an older one, then you can head on over to the Adobe download center and download a trial version for yourself. You’ll have 30 days from the date of installation to play with all of the photo editing features before the trial expires. At that point, if you decide to keep it, just buy a box from any reseller and enter the serial number/activation key found inside to open it up permanently for you. When will version 15 be available? If the past is any indication of what’s to come, then we are 99% certain that the version 15 will be released in the last week of September 2016 with some of the best deals already available by the Black Friday weekend. As we always do here at Software Voucher, we’re tracking all of the latest rumors and features we expect to see in Photoshop Elements 15. Unlike most other so called “coupon” websites out there, we are different. We post relevant up-to-date deals (by humans, not robots), check offer functionality on a daily basis, and only focus on software (something we know best). But of course, we’re not perfect. Please contact us if you see that a promotion code for Photoshop Elements 14 is not working or a sale price has expired before the end date.